Her name means 'love letter' and bookmakers were glad she put her stamp on the Maiden Handicap (1300m) at Kembla Grange on Thursday. Hawkesbury co-trainers Tara and Philippe Vigouroux broke through with lightly-raced filly Lettre D’Amour ($11) at only her fourth start, upsetting odds-on favorite Art Of More. A superb Jeff Penza ride enabled the well-named Lettre D’Amour (Foreplay-Red Letter Daze) to narrowly beat Art Of More ($1.70) in a tight finish. Penza had the three-year-old filly away from the barrier stalls like a shot out of a gun from her inside draw, then settled her fifth on the fence. He went back inside Art Of More in the straight as the pair staged a duel over the last 200m, with the Hawkesbury representative narrowly edging out the hotpot. Philippe Vigouroux said Lettre D’Amour had taken time to get going and was continuing to improve: “She is out of a mare who won plenty of races, and she should be even better next preparation, perhaps over longer distances,” he said. Lettre D’Amour’s dam Red Letter Daze won nine races in New South Wales and Tasmania and was also placed on 19 occasions. Lettre D’Amour, raced in similar interests to stablemate Cass ‘N’ Black, did not start as a two-year-old and made her debut on her home track in March when an encouraging third at $41 in an 1100 Maiden. She was then given a break and trialled twice – including a 1000m Hawkesbury success in late June – before returning to racing and finishing fifth at both Warwick Farm (July 11) and Gosford eight days later. 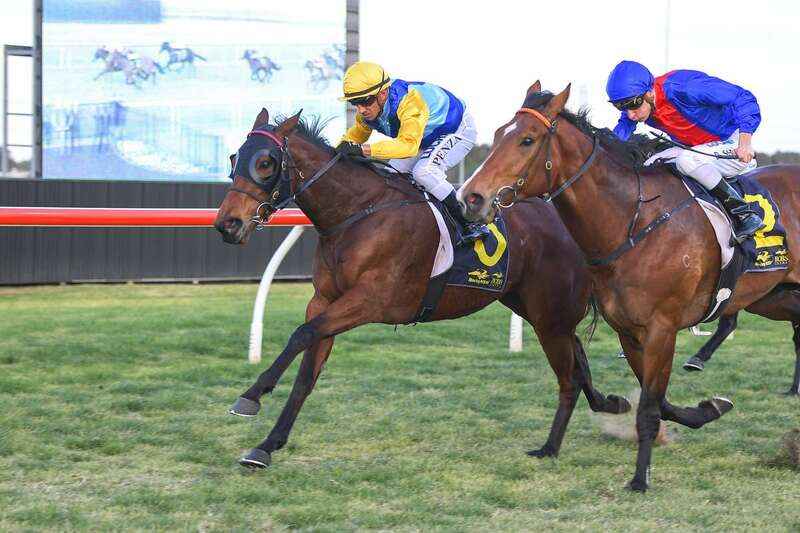 Lettre D’Amour was Team Vigouroux’s fourth winner this year, having also scored with Enigami (Port Macquarie, February 18), Uncle Sugar (Tamworth, March 26) and Azcannyaz (Muswellbrook, April 1). Fellow Hawkesbury trainer Scott Singleton almost pulled off another Kembla Grange upset when his $20 chance Fame Shines gave plenty of cheek before finishing second to Absolute ($3.70) in the Class 2 Handicap (1300m).